Business Development Executive April Mills Joins Ward and Smith - Ward and Smith, P.A. Ward and Smith, P.A. is pleased to announce that April Mills has joined the firm as a Client Service Executive. She is a seasoned client development professional, and will be responsible for introducing Ward and Smith to new clients and developing additional lines of business from current clients. 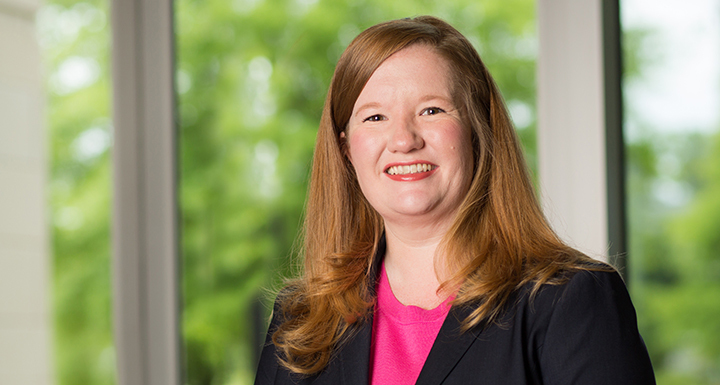 She will work with attorneys in all five Ward and Smith locations to develop meaningful relationships with companies and contacts in the Triangle. "April is a visible and greatly-respected member of the Triangle business community, and we're excited about the opportunities that this creates for us. She will join efforts already in motion to execute our plans for strategic growth, and this will benefit the firm as a whole. With our expanding network, we are well-positioned to take full advantage of the Triangle market." said Co-Managing Director Ken Wooten. Prior to joining Ward and Smith, Mills served as a Senior Business Development Executive for Dixon Hughes Goodman in Raleigh. She is active in the community and currently serves on the Boards of Directors for Triangle Commercial Real Estate Women, the Association of Corporate Growth, and the City Club of Raleigh. She is also involved with the Greater Raleigh Chamber of Commerce Government Affairs Committee.